North Korea has leased a pier on its port located near China and Russia to Switzerland, a source said Tuesday, citing an unidentified Chinese government official. 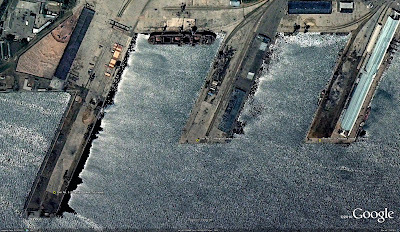 North Korea has already leased two other piers on Rajin port to China and Russia, and various consultations are also under way for three other piers, according to the source who has knowledge on the North Korean economy. The port, located in a North Korean special economic zone known as Rason, provides China with an export route to other countries. The North has striven to develop Rason into a regional transportation hub since 1991, but no major progress has been made. The source said details of the North’s lease to Switzerland have not been confirmed. On Monday, a Swiss Foreign Ministry delegation arrived in Pyongyang, the North’s official Korean Central News Agency reported in a brief dispatch, without elaborating. China has reportedly secured the right to use a pier on Rajin port for 10 years while Russia has secured the right to use another port for 50 years. The source also said some European companies plan to invest in Rajin port as well as Hwanggumphyong, an island designated as an economic zone by the North. The North recently announced that it plans to turn Hwanggumphyong and Wihwa islands into an economic zone to boost friendly ties with China and expand and develop external economic relations. The two islands that sit at the estuary of the Yalu River have long been tapped as a joint economic development zone between North Korea and China.